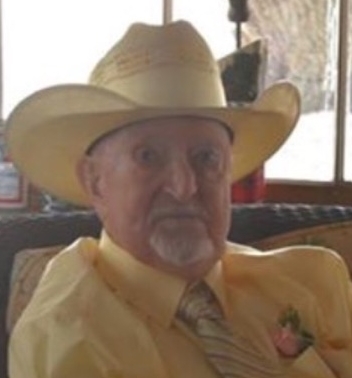 Obituary for Charles N. Stedman | Dixon Funeral Home, Inc.
Charles N. Stedman went to be with his wife and his savior on July 9, 2018 at Memorial Hermann Hospital in Pearland at the age of 85. Charles was born on November 9, 1932 in Angleton, TX. He has always resided in Brazoria County. He attended Texas A& I in Kingsville, TX. He served his country from 1953-1955 in the US Army and was stationed in Washington State. He married the love of his life, Shirley on June 15, 1956. Charles loved spending time with family and friends. He never met a stranger he greeted everyone with an open smile and always said “Hi There”. He loved hunting and spending time just sitting and talking about his hunting experiences with friends and family, the camaraderie around the camp fires, telling jokes or just being outdoors in the stars. He worked his early years as a Fireman for The Dow Chemical Company. He left for greener pastures in the late 60’s to sell insurance. After being in the insurance business for many years, he began a career in the car business in the late 70’s and later retired in 2000. He loved spending mornings with family enjoying coffee sitting on the porch. He was preceded in death by his parents, Boyd C. and Mary F. Stedman and wife Shirley. Survivors are his son, Kevin Stedman and wife Brenda of Brazoria; daughter, Kim Lay and husband Warren of Lockhart, TX; four grandchildren, Kasey Stedman, wife Kassey and Bradley Stedman all of Brazoria, Jennie Lay and Sara Lay both of Lockhart, TX; brother, Cecil Stedman and wife Nancy of Brazoria, many more nieces, nephews, cousins, other relatives and friends. Pallbearers will be Kasey Stedman, Bradley Stedman, Jerry Wolford, Robert Walden, Jack Rueffer and Aaron Watson. Family will receive friends on Friday, July 13, 2018 from 5:00 p.m. to 7:00 p.m. at Dixon Funeral Home in Brazoria. Funeral service will be Saturday, July 14, 2018 at 10:00 a.m. at First Baptist Church of Brazoria in Brazoria with Pastor Greg Smith officiating. Burial will follow at Brazoria Cemetery in Brazoria, TX.